CCDT participated in the Pernia Pop- Up Show Festive at Nation Sports Club of India from 20th to 22nd September 2018. In this, we reached out to people for supporting the mission of CCDT: ‘Community action combating hunger,disease and discrimination’. 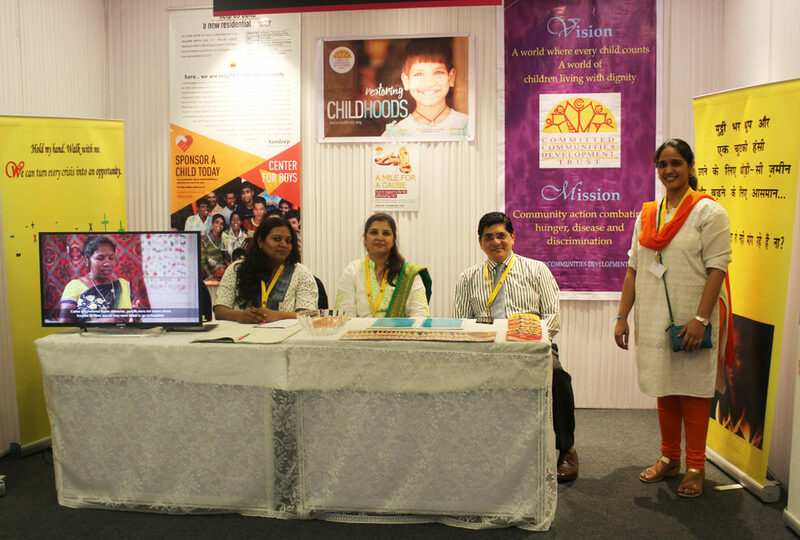 At the event, the CCDT team spread information about CCDT’s Residential Care Program and promoted ‘Sponsor a Child’ campaign. During the three day event, more than 250 people visited our stall and were informed about the Residential Care Program. With an aim to restore childhoods, CCDT actively interacted with people making them understand the work of CCDT and our shared vision of: ‘A world where every child counts; a world of children living with dignity’. The team spoke on how individuals can support children by sponsoring a child and/or supporting their nutrition and education.